Most people work hard, they have little choice in the matter. Decency is not too hard to find, though I think the higher up in society you go, there rarer it becomes. Happy Labor Day! I knew you’d understand about the pie. Yes, yes—the bright light of decency. Happy Labor Day! This was a very thoughtful post. I haven’t paid much attention to the news, so it is encouraging to hear that people pulled together to help one another. 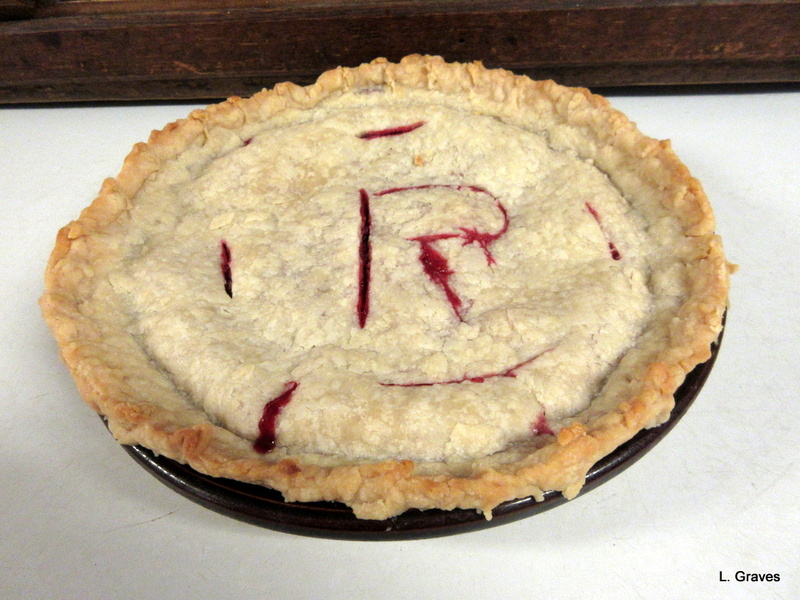 The pie sounded wonderful, although I don’t favor raspberries so much as peaches. Peach is my favorite and I’ve eaten my fair share this summer🍑. Thanks, Robin. Peaches are grand, too. Unfortunately, my husband is allergic to them, so no peach pie. Your poor husband. They are arguably my favorite fruit. My husband is allergic (or sensitive) to peach skin – it affects things in his throat and he loses his voice. If we peel them, he can eat them. Very well said, Laurie. That looks such a tasty meal! Happy Labor Day! I agree with you completely ..when there is a crisis ordinary people behave with compassion & kindness … We have often seen this in Australia during bushfires .. My best wishes go to those caught in the hurricane in Texas. Excellent pie. I am afraid it is true the world over – those who work hardest are often paid least. A thoughtful and inspiring post! 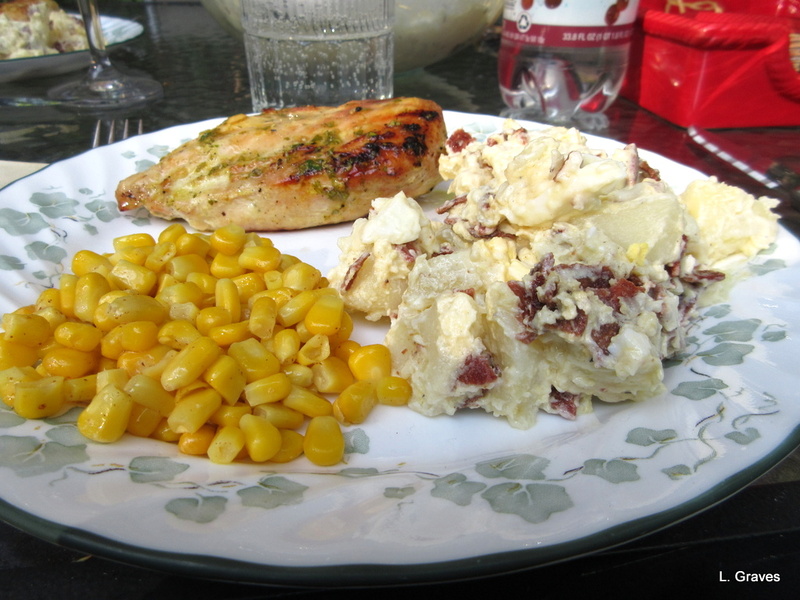 And a perfect meal to say goodbye to summer. So glad I brought raspberry, Laurie! I didn’t know it was your absolute favorite. Hear, hear! Good post, Laurie. I have had all kinds of jobs in my life–a full spectrum from mind-numbing low-paying grunt work to an intellectually challenging, high-paying career. I’ve often thought that we have the pay system backwards and that the really disagreeable, boring, dirty jobs should pay the highest, while those that are stimulating and enjoyable should be lower paid because they provide the compensation of having work that you really enjoy! Lately, in dealing with my mother’s declining health, I’ve been around a lot of home health care workers. The work that they do in caring for the elderly (child care workers too) is so grossly under valued that it’s depressing. In any case, I hope the true spirit of Labor Day is never forgotten. And that pie looks delicious. Yes, yes! It is so depressing that the work is undervalued. Who makes these rules, anyway? I love your ploy with the raspberry pie. I don’t blame you a bit. Seeing Amish families reclaim some of our local farms is a study in hard work. In our country we value different types of work in almost a competitive way, Perhaps the biggest judge is how much hard work brings a person satisfaction and joy. So true! And those who work the hardest for the lowest pay are so often not given their due. Good thoughts, excellent pie. A simple but effective blog.